Welcome to Riad el Zohar, a luxurious 18th century courtyard house sitting close to the centre of the ancient Medina in Marrakech. 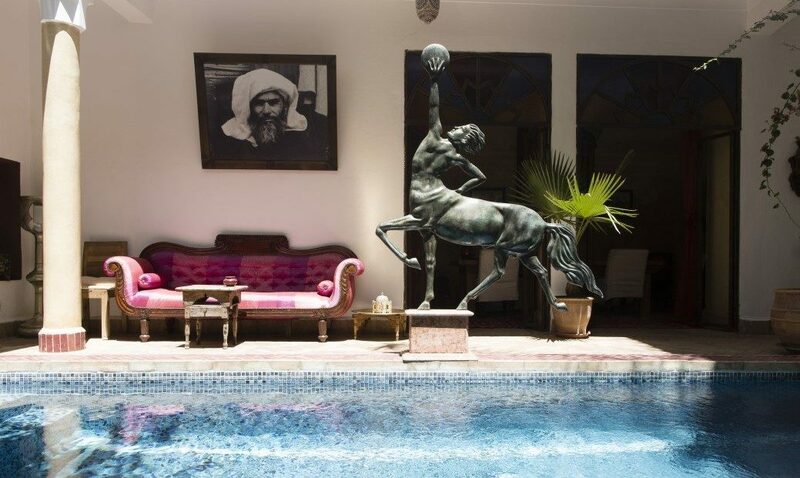 Exotic yet familiar, the Riad retains the charm of a traditional townhouse while incorporating lavish features like a plunge pool, a fine roof terrace and an attractive central courtyard. 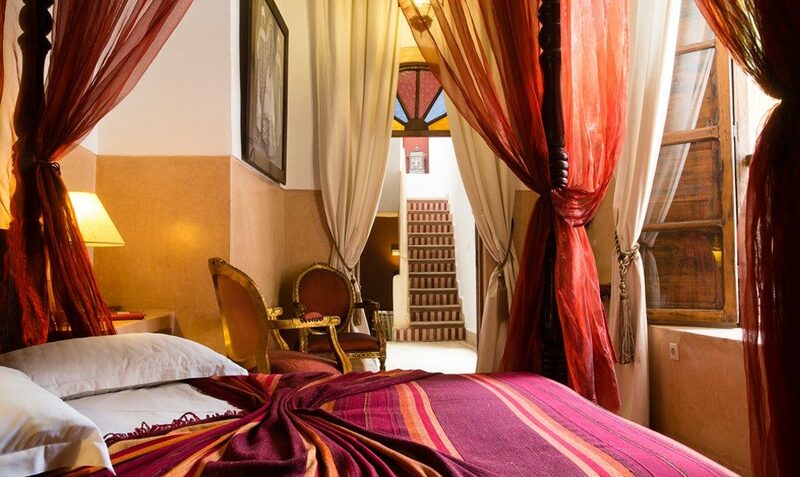 Just five minutes from Jemna el Fna Square and boasting lovely views over the Medina, the Riad is conveniently located for an unforgettable stay in the city. 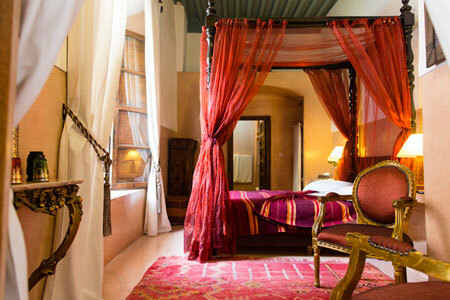 Staying at Riad el Zohar is like stepping into a traditional Moroccan home in Marrakech. 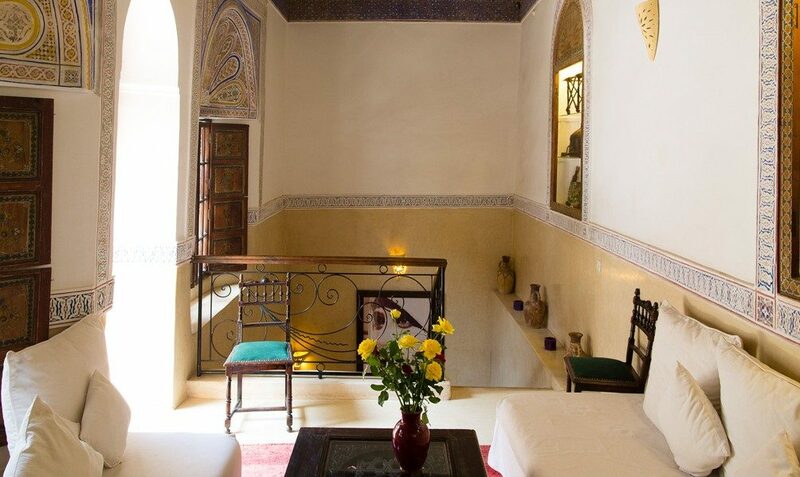 With a warm and relaxed atmosphere, you can enjoy the service of a boutique hotel with the aesthetic of a beautifully renovated Moroccan Riad. If you require transfers from the airport, we can arrange to have a driver pick you up so you can enjoy a stress-free journey to the Riad. A porter will also be able to handle your luggage when you arrive. 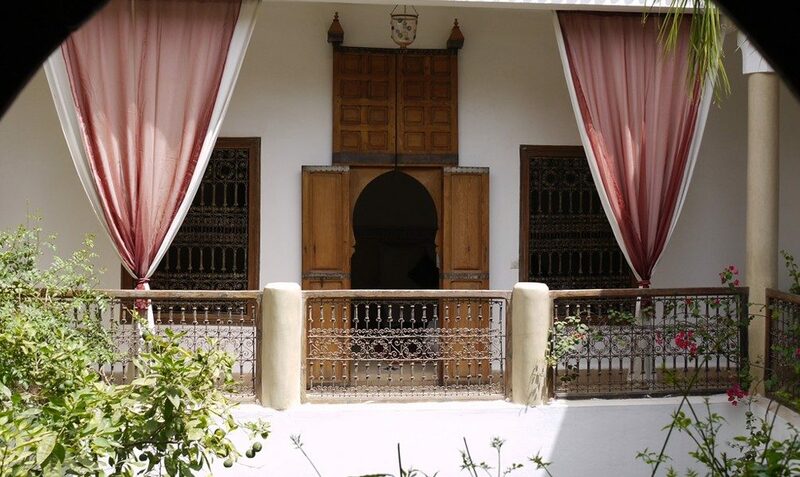 With free Wi-Fi throughout the property as well as a guest laptop available for internet access, the Riad makes it easy for you to stay in touch with everyone back home. There is also a printer, scanner, copier and fax machine available. Enjoy selection of delicious Moroccan dishes prepared by expert cooks, with meals served out in the courtyard. Order your food early in the day and the cooks will buy fresh produce and create your meal from scratch. The Riad offers morning cookery lessons to show you how to create amazing Moroccan meals. These lessons include a trip to a local market to buy the fresh vegetables, spices and meat you will use in the cooking. Marrakech has a range of fantastic restaurants with many based close to the Riad. 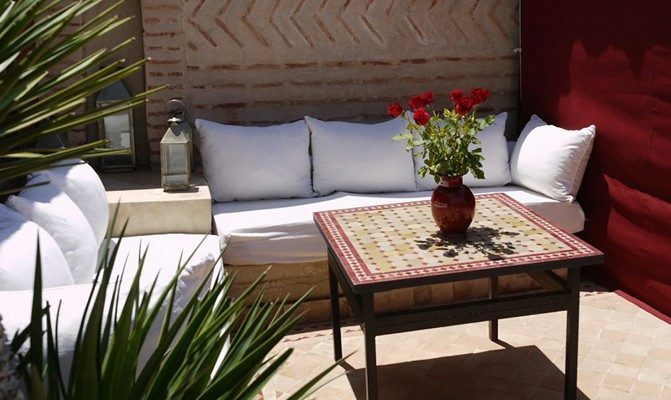 Staff at the Riad will be able to give you honest and impartial advice on places to eat nearby. There is a guide to the city in each room which gives you an idea of some of the best places to visit. We are happy to arrange day trips for you to a range of locations and sights close to the city. Journey into the picturesque High Atlas Mountains, explore the fortified port of Essaouria or enjoy an adventure into the Sahara Desert.